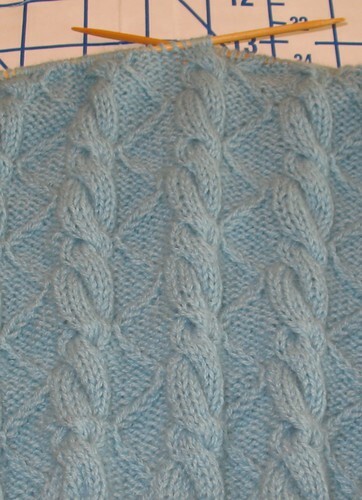 I blame the weather on my recent obsession with knitting. And it may also have something to do with my impatience to receive A Stitch in Time, Volume 2 in the mail (darn holiday delivery schedule!). This may be a good thing, because I have finished a couple of projects. But I felt the need to start something new, so here is my progress on a sweater generously posted by Liz of zilredloh.com from a vintage Stitchcraft magazine. I have been avoiding the Colourmart yarns I have tucked away because the coned cashmere requires a bit of work to be needle ready. Using their yarn tends to slow my process down, because I cannot jump right in with my knitting needles. 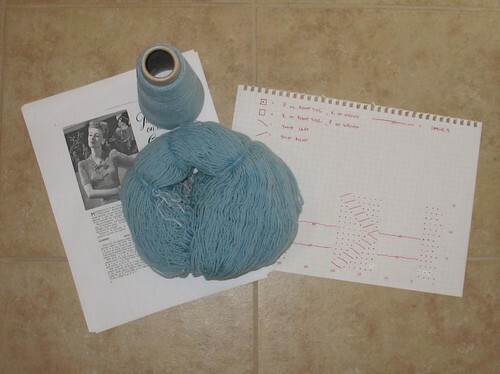 I know that there are conflicting ideas about how to knit with coned fibers. Because I am hand-knitting with them, I prefer to have washed, non-oiled, fluffy yarn to work with. As much as anything, this is to avoid having to make multiple swatches to figure how much shrinkage is going to occur in the finished garment. Because I do not have a fancy swift, I have figured out a cheap and quick substitute. I use a binder to wrap my yarn off the cone lengthwise at the ringed end. 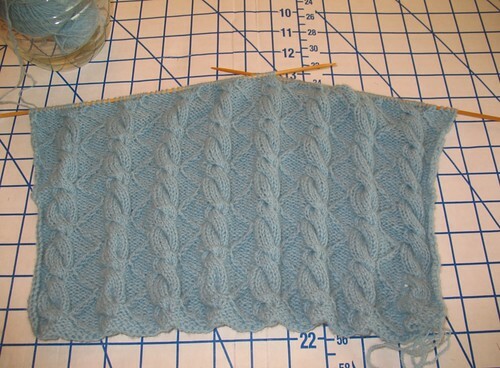 Once I have sufficient yardage wrapped, I secure the hank with a few lengths of cotton crochet thread (you could easily use the yarn itself, but I sometimes have a hard time finding the ends once the yarn has fluffed up) and pull the yarn off the binder. Then it gets a hot bath in some soapy water, rinse and repeat. I squeeze the excess water out in a towel and then throw wet skeins in the dryer. It really is amazing how much the yarn blooms. 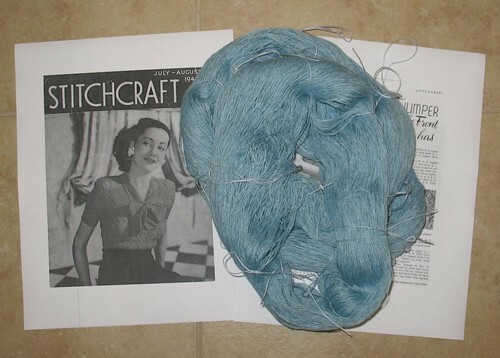 What starts out as a thin and rough strand becomes a lovely soft bit of cashmere. And now I must get back to my cup of tea and knitting needles. P.S. I could still use everyone’s votes in the Threads Ultimate Sewing Challenge! And remember, every time you vote you are entered to win a Threads prize package!